Yesterday, we had an amazing day. It was filled with fun and excitement. With explosions and heroism. Oh, and with Vikings and dragons. 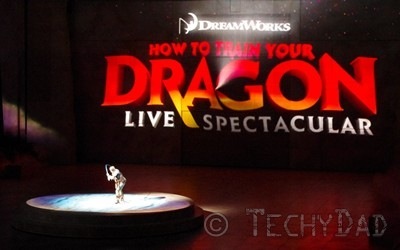 Yes, we went to see DreamWorks How To Train Your Dragons Live Spectacular. Now, since we were treated to the VIP Experience, I have a lot more to talk about than just the show. However, since B wrote about that today, I’ll cover that in my own words on Monday. For now, I’ll just try to put into words how amazing the show was. Going in, I expected a lot. 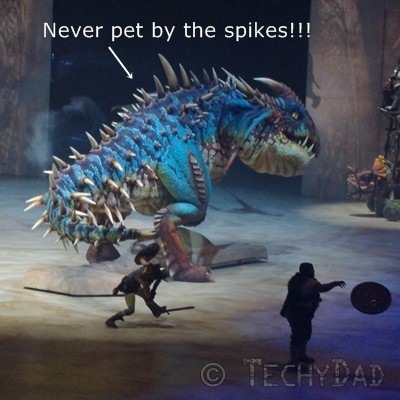 After all, we loved the Walking With Dinosaurs Live show a few years back and this show was put together by some of the same people. 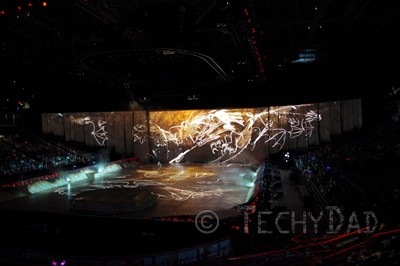 Well, even though Dinosaurs Live was a great show, Dragons blew away the mark Dinosaurs set. The show begins simple enough. There’s a big stage. Very big. Nine movie screens long. Hiccup comes out with the title of the show behind him. He’s fishing, tosses his line back… and snags the screen. As he tugs, the screen stretches until it rips right off and all around him explodes into fire. This type of thing continues throughout the show. 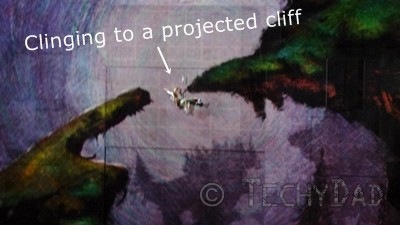 Characters interact with the projected images. In a lesser show, this might look cheesy, but they pulled it off in a big way. If you are at all familiar with the plot of the DreamWorks How To Train Your Dragon movie, then pretty much know what happens in the live show. Some items have been altered slightly (mostly for time constraints or because you’re dealing with robotics/live actors versus computer animation), but the basic story remains. You are transported back in time to about the year 500 in the small town of Berk. Berk is a simple Viking town, but one that is overrun by pests: dragons. Hiccup, the son of the chief, is as unvikinglike as possible. He’s thin and completely uncoordinated. So when the dragons attack again, taking off with their livestock, Hiccup is ordered to stay inside away from the action. Hiccup doesn’t listen though. He knows that if he bags a dragon, he’ll get some respect (and perhaps a date). So he runs off on a quest. Here is where perhaps the most magnificent effect takes place. 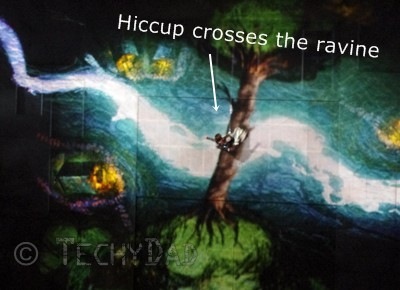 Hiccup has to run over paths between exploding houses, across mountainous terrain, up the side of a cliff, and more. Of course, creating this whole landscape would be expensive. So they project it. Not on the floor, like you’d think, but on the wall. Hiccup, despite his uncoordinated nature, actually takes down a dragon. Not just any dragon, but a Night Fury – the most feared dragon ever. And one that nobody has ever seen face to face. 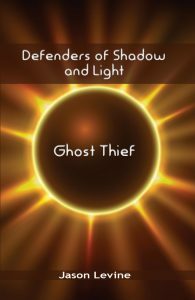 When Hiccup goes to examine his prize, though, he finds he can’t kill it and winds up befriending it (and naming it Toothless) instead. The results of this friendship has wide-ranging implications for Berk, Hiccup, and Toothless. Tour dates and tickets can be found by going to http://www.dreamworksdragonslive.com/tickets.php. In addition, you can save 25% off the cost of select seats by using the promo code "MOM". Disclaimer: I received tickets to the How To Train Your Dragon Live Spectacular for me and my family. However my opinions (and excitement) are my own.